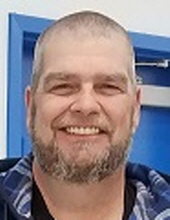 Charles E. Holbrook, 59, of Hillsdale, formerly of Sterling passed away May 13, 2018 at Clarissa C. Cook Hospice House after a courageous battle with cancer. A private celebration of life will be held at a later date. Quad Cities Cremation Center is assisting the family with arrangements. Charles was born Sept. 12, 1958 in Sterling, IL the son of Forrest and Shirley Gobrite Holbrook. He married Mary Schuneman Feb. 20, 1976 in Sterling. Charles was a truck driver for Dohrn and a supervisor at Steel Ball in Sterling. He enjoyed working on cars and was a diehard Broncos fan. He loved spending time with his family. Survivors include his mother Shirley Holbrook; wife Mary; Daughter Megan (Joe) Tyrrell; son Charles (Jennifer) Holbrook; grandchildren Christian, Alec, Julia, Brennan, Blayke, Keeley, Ireland, Wyatt, Leland and Caleb; siblings Darrell (Nancy) Holbrook, Dea Shikes, Sharon Heater, Michael (Donita) Wallace and Mark Wallace; special friends Chuck (Deb) Hall and several nieces and nephews. Charles was preceded in death by his father, brother Michael Holbrook and a niece Traci Holbrook Payne. To plant a tree in memory of Charles E Holbrook, please visit our Tribute Store. "Email Address" would like to share the life celebration of Charles E Holbrook. Click on the "link" to go to share a favorite memory or leave a condolence message for the family.